Have you been studying English for a year or more and are now looking for ways to improve your English learning? I can’t stress this enough! This should be the first thing you learn and practise constantly to help you to speak English so that people can understand you. It doesn’t matter how fluent you are, if people don’t understand what you are trying to say, then you have to revise your pronunciation. Learn the phonetic symbols, – the sounds of English. Listen to the radio, music and audios. Watch movies, television documentaries and world news programmes. Get help from a qualified native teacher who can tell you what your problem sounds and how to correct them. Improving your English will take time and patience. Revise you reasons for learning English. How much time can you spend studying each day. Vary your learning routine. Study grammar one day, vocabulary the next day, then do fun games and quizzes on other days etc. What is it that helps you to learn easily and enjoyably? Make sure you know your learning style (What type of learner are you) so that you are learning to the best advantage for you. 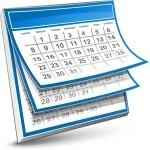 How much time can you spend on study each day? Make a committment and stick with it. The more time you spend learning, the faster your English will improve. 20 minutes per day is much better than 2 hours once a week. 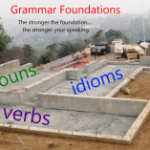 Grammar is the foundation and the building blocks of any language. The stronger the foundation the better your language will be. Revise the past, simple and future tenses of English verbs. Each tense has a simple, continuous and perfect. You should know the simple and continuous quite well now and be practising and trying to use the perfect correctly. Knowing these verbs tenses are essential to help you to talk about things like what happened last week, what is happening today and what will happen tomorrow. 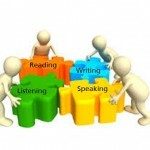 Knowing all of this well will help you to speak with more confidence and fluency. 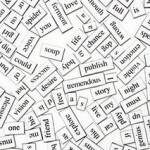 All of these will greatly increase the vocabulary you already know. Write these new forms in sentences to help you learn how to use them. Look for these and any new words when you are reading. Reading is a great way to help to teach you how to your the words your are learning. The more words you learn, the more your English will improve. Try to learn 3-5 new words each day and one idiom or proverb. Idioms are a great way to help you improve your English and start speaking like a native speaker. Again, I cannot stress this one enough. Once you have increased your foundation and building blocks of vocabulary and grammar try to practise as much as possible and preferably with native speakers. Don’t worry about making mistakes. Learn from them and add them on to your list of ways on how to improve your English.